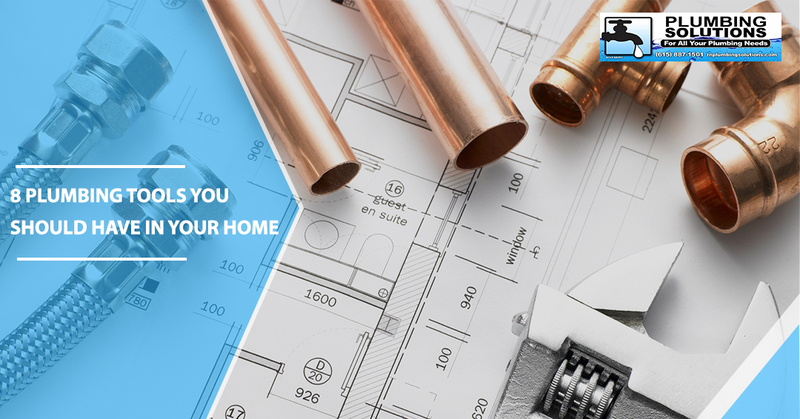 Sometimes, when a plumbing issue arises in your home unexpectedly, you need the necessary tools at home to quickly fix the problem while you wait for the assistance of a professional plumber. In this blog post, we’ll go over eight plumbing tools you should have in your home to temporarily fix any minor plumbing problems. 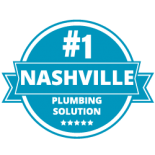 Plumbing Solutions is Nashville’s favorite plumbing company for a reason — we always have a 24-hour plumber on-call to tackle any of your unexpected plumbing issues. 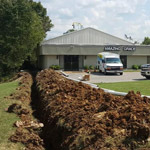 We offer affordable plumbing services for residential and commercial properties in Nashville and surrounding communities, such as La Vergne, Madison, Spring Hill and more! Schedule an appointment today. A pipe wrench is most useful for hard-leverage situations, such as loosening or tightening a rusted pipe. It’s best to use two when working on your plumbing pipes, as one can be used to stabilize your work while you use the other to complete your task-at-hand. These wrenches are extremely versatile and are most commonly used for the smaller plumbing issues that may arise. For example, you can use an adjustable wrench if you’re replacing your showerhead or a faucet. A basin wrench is not necessarily known outside of the plumbing industry, but it can work wonders for jobs like loosening the nuts underneath a sink. Its clamping jaw is designed to effectively turn bolts and fasteners in the smaller areas of your home where pipes are installed. An auger is your go-to plumbing tool when a plunger just isn’t cutting it. It unclogs your toilet drain by using a long metal cable to break down any substances. 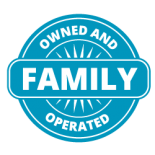 Only use this if you have past experience doing so — if not, call our 24-hour plumber or wait until you can get professional assistance. This is probably one of the most basic but effective plumbing tools you should have in your home’s bathroom areas. A plunger help with a variety of plumbing issues, ranging from unclogging a clogged drain to halting an overflowing toilet. On top of that, they’re fairly easy to use! Otherwise known as Teflon tape or thread seal tape, plumber’s tape is a great temporary solution for any leaky threaded joint problems you have in your home. 7. Tongue and groove pliers. This tool can be used for more than just plumbing issues, but pliers are great for holding things in place while you work on a task. Plumber’s putty, also known as jointing compound, is used to form watertight seals for the leaky faucets and drains in your home. 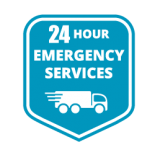 If you find yourself in a plumbing emergency, don’t be afraid to reach out to our 24-hour plumber in Nashville. 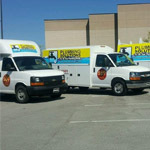 Our plumbers are prepared to tackle any repair issue in your home’s plumbing system. 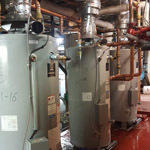 We also offer water heater installation, drain cleaning services and more! 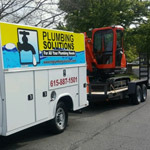 Call us today at (615) 823-7223 for your emergencies or to schedule an appointment, if your plumbing issue isn’t urgent. You can also fill out our online form.